Cisco is making changes to its year-old cloud channel program, the networking company announced at the 2012 Cisco Partner Summit in San Diego this week. In 2011, Cisco launched its Cloud Channel Program with three roles — Cloud Builder, Cloud Provider and Cloud Reseller. In 2012, it is introducing a Master Cloud Builder specialization and combining its Cloud Provider and Managed Services channel programs. “What we are learning is that to be able to architect and deliver clouds, partners need to become experts in data-center technologies, cloud infrastructure and the solutions that run on them,” said Edison Peres, vice president, Worldwide Channels for Cisco, in his remarks at the Partner Summit. To that end, he said, the company is introducing the Master Cloud Builder specialization, the third specialization around these technologies, complementing Master Collaboration and Master Security. “Think of it as a one-stop shop for competency around data-center and cloud solutions,” Peres said. Partners completing the specialization will earn the right to use the Master Cloud Builder logo, which conforms to the new look rolled out for all Cisco Channel Partner Program logos at the Partner Summit. In addition, Peres said that Cisco is combining the Cloud Provider and Managed Services channel programs to create a single “as a service” program. “What we are learning from customers is they don’t really care if their solution is delivered as a managed service or a cloud service. They just want their needs met,” Peres said. He added that combining the programs eliminates the dilemma of partners having to choose where to make their investments. 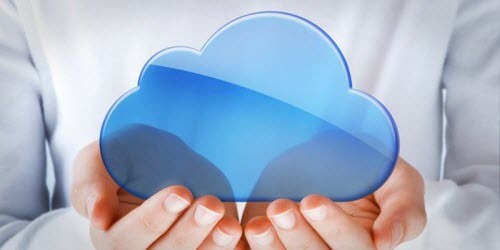 Cloud Computing, So Popular in Coming Years, What You Need to Consider?